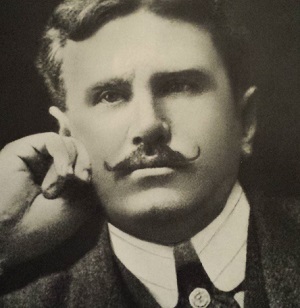 One of my literary heroes has always been O. Henry (1862 – 1910), a pharmacist and prolific author of hundreds of poems and short stories. His real name was William Sydney Porter, and he is probably best known for his surprise-ending story, The Gift of the Magi. His commodious vocabulary often obliges even the most tutored of his disciples to read with a dictionary at hand. Maybe less well-known is his short-story about “Ikey” the pharmacist, entitled “The Love-Philtre of Ikey Schoenstein” (note, a ‘philtre’ is a love-potion). It is, however, one of my personal favorites. It is within the pages of this story that the priceless sentence about the druggist is compounded by O. Henry, describing him as “a counselor, a confessor, an adviser, an able and willing missionary and mentor whose learning is respected, whose occult wisdom is venerated and whose medicine is often poured, untasted, into the gutter.” I smile every time I read it. 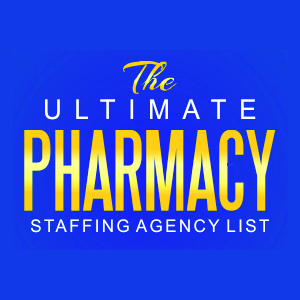 Ikey was a love-sick pharmacist. Though he was bold and confident behind the counter, he was shy and awkward outside of that comfort zone. As such, “Rosy” (the object of his secret affection) never managed to notice him or discover his love. One day, to his surprise, a friend and customer of his came into the pharmacy and announced he was going to elope with Rosy that night. Ikey’s heart sank. His friend, Chunk, had come to Ikey to ask for a “love potion” that he could secretly give to Rosy, just to ensure she wouldn’t change her mind about eloping. Thinking quickly, Ikey concocted a sleeping potion instead (powdered morphine) that, when given to Rosy, would be sure to knock her out for hours and hopefully overthrow their plans to elope. Chunk was due to have dinner that night with Rosy and Rosy’s father (who, as it happens, was not very fond of Chunk at all). It was partially due to his future father-in-law’s dislike of Chunk that eloping was necessary. Ikey, after giving Chunk the “love potion” then secretly calls Rosy’s father and exposes the whole plan to elope that night, which Rosy’s father then promises to prevent by hiding and waiting for poor Chunk with a shotgun. O. Henry’s stories are well-known for a twist ending. This one is no exception [spoiler alert – don’t read on if you would rather read it for yourself]. The next morning Ikey goes to find out what happened to his friend Chunk, expecting that his “competition” for Rosy has been effectively eliminated. To his surprise, Chunk and Rosy are married, and Chunk thanks Ikey profusely for his help. Ikey, confused and bewildered, asks about the love potion. Chunk replies that he decided he didn’t want to win Rosy by deceit, and figured that the one whose “love” he really needed help with was her father. At dinner that night Chunk slipped him the “potion” instead. What lessons can we learn from unlucky Ikey? Don’t mess with your pharmacist. Seriously. We have access to some pretty dangerous and powerful drugs. Don’t tick us off. There is, amongst other things, a lesson about courage here. I’m thinking O. Henry would want his readers to overcome their shyness when it comes to telling someone else how they feel. If Ikey had concocted the courage to tell Rosy about his secret affection, maybe things would have fallen out much differently. What about you? Got someone you need to say something to? Maybe there are people close to us that we don’t express our feelings toward very well. Maybe there is someone you just need to be honest with about how you feel about them. If Ikey had only mustered up the courage to ask Rosy out on a date, she might have been his wife rather than Chunk’s. And if she said no, well, he was a pharmacist, and he could always still poison Chunk in the end.